Thomas J. 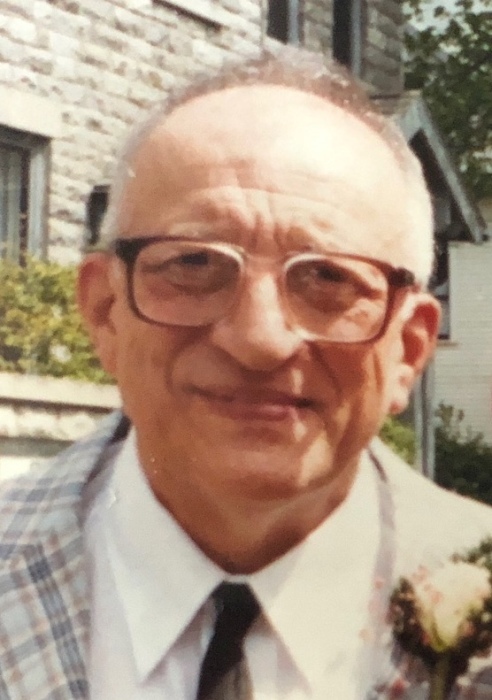 "Tom" Cammalleri, 92, of Sandusky, passed away peacefully late Monday morning, February 4, 2019, at the Providence Care Center, Sandusky. Born on September 15, 1926, in Sandusky, OH the son of Joseph and Concetta (Damanti) Cammalleri. Tom had served honorably in the U.S. Marine Corp. as a corporal during W.W. II. He had worked for New Departure-Hyatt Inc. (a Division of General Motors) for 30 years, retiring in 1984. In his earlier days, he enjoyed hunting and fishing. Tom was a member of St. Mary's Catholic Church, a former member of the American Legion, Eagles, AMVETS and the V.F.W. He is survived by his daughter, Joan (Jeff) Thoman of Bay Village; a son, John (Colleen) Cammalleri of Toledo; 4 grandchildren, Christopher (Jennifer) Cammalleri of Huron, Kevin Dorf of Michigan, Michelle Gresham of Cleveland and Lisa Cammalleri of Toledo. Tom was preceded in death by his parents; his wife of 50 years, Paula Marie (Ringholz) Cammalleri on January 19, 2001; a son in infancy, Stephen Cammalleri; 3 sisters, Mary Mathers, Angeline Beaver and Josephine Orman; two brothers, Thomas and Angelo Cammalleri. Visitation will be held on Friday morning, February 8, 2019, from 8:30 am until time of prayers at 9:40 am at the David F. Koch Funeral and Cremation Services, 520 Columbus Avenue, Sandusky. A Mass of Christian Burial will be held at 10 am at Holy Angels Catholic Church, 428 Tiffin Avenue, Sandusky. Fr. Matt Frisbee officiating. Burial will be held in Calvary Cemetery, Sandusky. Military honors will be conducted by the "Marines Forever" Honor Guard. The family suggests that memorial contributions may be made in his memory to The Providence Care Center, 2025 Hayes Avenue, Sandusky, OH 44870. Your memories and words of comfort may be shared with Tom's family at davidfkoch.com.